Most of our articles and guides involve horizontal surfaces, but we do occasionally get questions on the process for staining concrete walls, normally about achieving a stained concrete basement. 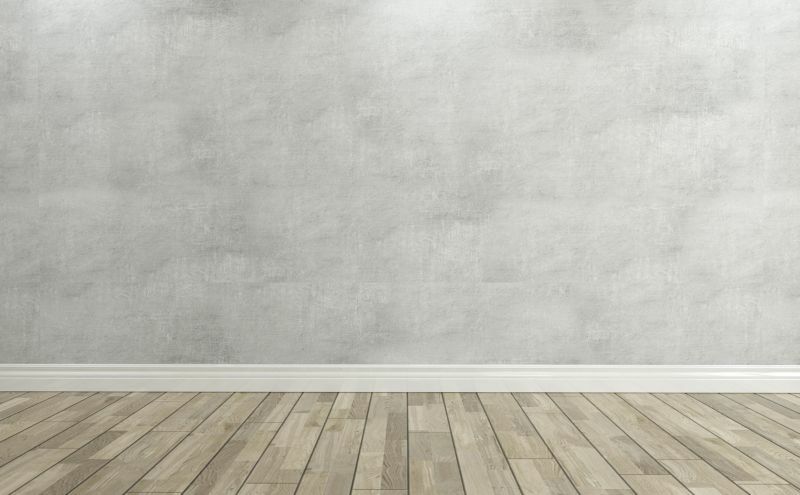 The process for staining a concrete wall is not all that different from staining a horizontal surface, but there are several things to keep in mind when staining concrete walls. Some companies suggest using gel concrete acid stain when staining a concrete wall or try to sell a specific retaining wall stain, but we find that standard acid stain is perfectly fine for concrete wall staining. A concrete wall is less likely to have contaminants than a floor, but that doesn't mean that you don't have to prep the wall before staining. If it is an outside wall, a pressure washer is normally a good choice before staining concrete walls. If the wall you are staining is inside, I would suggest using our concrete stain prep and giving the wall a through scrubbing with a stiff straw brush. Once the wall has completely dried, you are ready for the next step of staining concrete walls. After prepping the concrete wall, you'll want to tape off or cover any areas that you don't want to get stain on. This could be windows, floors, furniture or adjacent walls. Much like any other surface, you can apply acid stain to a concrete wall with a concrete sprayer. You can use standard acid stain, there is no specific concrete wall stain. But there are a few things to keep in mind. First, acid stain is a liquid like water. When staining walls or vertical surfaces, acid stain will run down easily, which means that you will need to spray lighter than you would on a horizontal surface. You will have to follow the spray with an applicator brush and brush in a circular motion to take any runs off of the wall as you go. The amount of acid stain required will depend on how porous the concrete wall is. Smooth concrete will require less stain than the rougher concrete and cinder block walls will require the most stain. Smoother concrete will reap at least 400 sq.ft per gallon and maybe up to 500+, however, rough or porous concrete may only see 250 to 300 sq.ft. per gallon and cinder block would only see about 150 - 200 sq.ft. per gallon. If your wall is made of cinder blocks, we have an article on how to acid stain concrete block walls. Staining concrete blocks (much like staining concrete walls) is not all that different, but there are a few things to keep in mind. Sealing your concrete wall after staining it is not quite as important as it is when you are staining a floor or patio. However, sealing stained concrete walls will enhance the colors and give the wall a satin, professional finish so we highly recommend doing so. In addition to the appearance, sealing the wall with protect the stained concrete wall and make it last longer. As you can see, staining a concrete wall is not any more complicated than staining a concrete floor; you just have to be aware of a few things during the process to ensure that everything turns out well. If you have more questions about staining concrete walls, how to stain concrete in general, or on any other concrete staining topic, feel free to reach out. We love answering questions and talking about concrete acid stain.